Assuming command of such an outstanding division as the United States 25th Infantry Division stands as the highlight of my career. Your record on the battlefronts of Vietnam, under the leadership of Major General Harris W. Hollis and his predecessors, is second-to-none. It is a record of the American fighting man in his finest hour - courageous, loyal, compassionate, and above all imbued with the ideals of freedom and the desire to see that same flame of freedom kindled in the hearts of all men. Professionalism is this magnificent combat formation's trademark. I need not remind you that the task before us is unfinished. Our help in this critical hour of the history of the Republic of Vietnam is still very much needed. 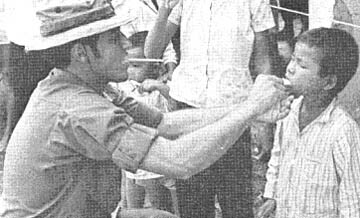 This task is threefold: to rid the area of communist cadre, guerrillas, local, main force and regular units; to improve the operational capability of the Vietnamese Armed Forces and Territorial Forces; and, to assist in the pacification of the countryside by working in harmony with the government to bring a free and more rewarding life to the people of Vietnam. These are the reasons we must remain here to complete the job our predecessors began. I pledge to you that I shall uphold the traditions you have so valiantly forged and sustained. I ask of each of you to maintain the same faith and courage you have so nobly displayed on these fields of battle. With this forthright determination born of common purpose, together we can and will secure the freedom for which the people of Vietnam have been striving, and the honorable peace for which all of us have been yearning. FSB BLUE - In one of the largest operations in recent months, three companies of the 2d Battalion, 27th Infantry Wolfhounds along with other units engaged a large NVA force northeast of the Angel's Wing near the Cambodian border. During two days of heavy fighting 62 enemy were killed. U.S. suffered 11 men killed. Ten of the wounded had to be evacuated. Initial contact was established by a small unit of 75th Rangers. Shortly after insertion at the eastern edge of the Renegade Woods the Rangers received heavy ground fire from the enemy who were inside well fortified bunkers. Air strikes, artillery, gunships and ground reinforcements were quickly called in. Charlie Company, second Wolfhounds, arrived shortly and established further enemy contacts. The enemy force was estimated as a battalion and the Wolfhounds' Alfa and Bravo companies joined the fight. The U.S. forces received continuous support from artillery, gunships and air strikes. Chopper pilots reported spotting as many as 30 enemy bunkers and an aerial observer reported drawing fire from nine different ground positions. Fighting continued throughout the day and into the night. Air strikes, artillery and gunships were used continually and the Wolfhounds managed to surround the enemy positions. On the morning of the second day elements of Bravo and Charlie companies, 2d Battalion (Mech), 22d Infantry joined the fighting along with Delta Troop, 3d Squadron, 4th Cavalry, a helicopter troop. Partial searches of the enemy position turned up the enemy bodies. The Rangers were credited with 12 kills, the Wolfhounds 25, the Cav 5, and the mechanized companies four. Artillery and the Air Force were credited with killing eight enemy each. Southwest of the major contact the Vietnamese 963d Regional Force intercepted a patrol of NVA wounded heading toward the border. The RFs took 13 prisoners. TAY NINH - Hard-core Communists from the North teamed up with local Viet Cong elements and launched what appeared to be a pre-planned coordinated offensive against Tay Ninh Base Camp and the surrounding area during the nights of 30-31 March. Thanks to the keen alertness of 1st Brigade soldiers manning the base camp bunker line and to numerous Regional Forces companies that were in contact near the city, the enemy's efforts failed to achieve any measure of success. 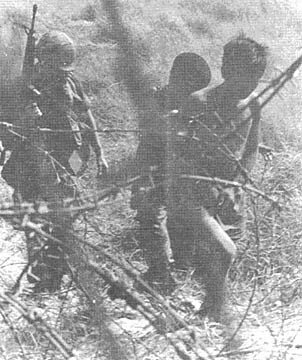 The results of a 40-man NVA element's attempt to penetrate Tay Ninh Base Camp ended up with 5 NVA killed in the barbed wire, 2 detainees, plus numerous weapons and ammunition captured. 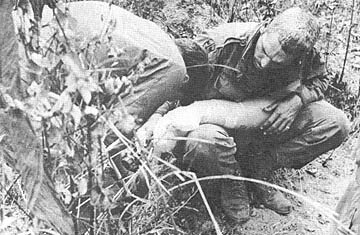 Seven Americans were wounded during the probe, but not one of the Communists made it through the wire and the sappers provided 1st Brigade intelligence personnel with valuable information. While the sappers were quietly inching their way towards the wire, other enemy elements were busy lobbing mortars, rockets and RPG rounds into base camp to divert attention from the perimeter. It didn't work. U.S. forces reacted with Cobra gunships, Blue Max, artillery, Issue FAC, Nighthawk and a thunderous volley of organic weapons. Early morning sweeps by Delta, 3rd Battalion, 22nd Infantry, turned up three enemy bodies plus the assortment of weapons, which included 3 AK-47s, 80 Chicom hand grenades, 23 RPG rounds, 2 Bangalore torpedoes, 4 RPG launchers, one Chicom pistol and one grenade launcher. The other two bodies were picked up by the 4th Battalion (Mech), 23rd Infantry. Colonel Paul J. Mueller, Jr., 1st Brigade commander, commended the men on the bunker line for a job well done. "Everyone did a fine job last night," the colonel said, "and it just goes to show that it does pay to be alert on the bunker line." 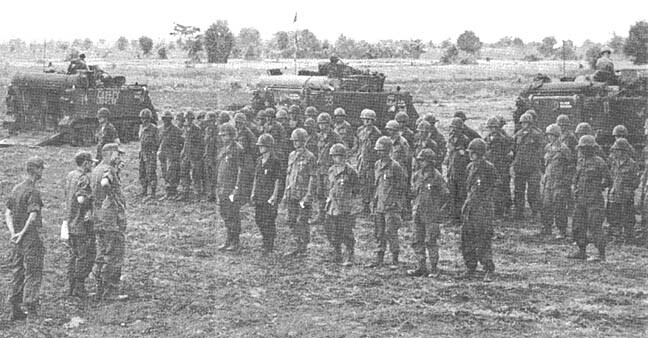 Meanwhile, several companies of the Regional Forces were busy battling Charlie at several locations south and east of Tay Ninh. Without sustaining a single loss, the RFs racked up a total of 27 enemy dead from four separate engagements. Captured equipment included 13 AK-47s, 4 Claymores, 15 Chicom hand grenades and 2 B-40 launchers. The Communists' attempts to overrun U.S. and South Vietnamese bases failed at every turn. 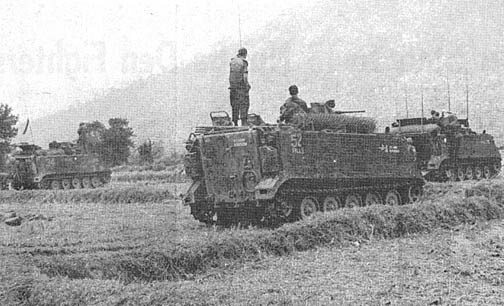 The next night, Tay Ninh Base Camp was again subjected to a rocket and mortar attack as well as another ground probe. Again, the enemy's efforts proved futile. A 1st Brigade intelligence officer said the enemy offensive was part of an anticipated high point predicted for early April. "This could very well be the enemy's last significant effort before the rains come," he said. What does one do when he has an explosive which has not detonated properly? Everyone knows that the explosive should be left alone until someone with experience in the demolitions field can determine the proper manner in which to dispose of it. However, some people who know that they should not attempt to dispose of explosives refuse to believe what they have been told. 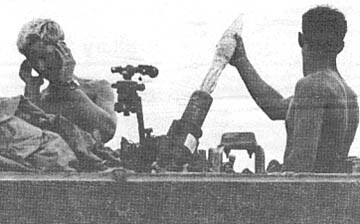 A tank commander, for example, attempted to remove a damaged white phosphorous grenade from the Sheridan tank's salvo grenade launcher. Unable to pry it loose with his hands, he borrowed some tools from another track and attempted to dislodge the grenade once again. 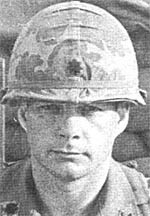 During the second attempt, the grenade exploded and severely burned the tank commander and three other men in his platoon. In another instance, two demolitions team members were attempting to destroy a Chi Com grenade. They set an initial charge on it but it failed to detonate. They evacuated the area outside the perimeter. When the demolitions sergeant returned to the site about ten minutes later with another blasting cap, he found that a young specialist had run out to dispose of the grenade himself. Although the demolitions men yelled at him to stop, the man insisted upon throwing the grenade into an old fighting position. The grenade exploded and the specialist suffered fragmentation wounds to the head, chest, and right arm. Remember, explosive charges which have not detonated properly are doubly dangerous because they are unpredictable. Inexperienced persons should not apply their curious tinkering to these objects. SAIGON - Government Agencies have expressed concern over the many contraband items entering CONUS in parcels mailed from Vietnam. Parcels are being carefully examined in U.S. Postal and Customs channels. Postal clerks are enforcing the provisions that parcel contents and value be declared and the sender/addressee be properly identified. In addition persons who attempt to mail narcotic or hallucinogenic substances violate military, postal and narcotic regulations. Violators are subject to severe fine or imprisonment. Lieutenant Colonel Shepard H. Phillips recently assumed command of the 2d Battalion, 12th Infantry. 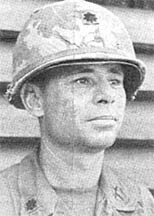 He was formerly the executive officer of the 1st Brigade, 25th Infantry Division. He replaced Lieutenant Colonel Burton J. Walrath, who now heads the division G-4. Lieutenant Colonel Marvin Rosenstein of Fairfax, Va. assumed command of the 1st Battalion, 27th Infantry. Colonel Rosenstein, who was formerly with the Office of the Deputy Chief of Staff for Military Operations, Department of the Army, replaced Lieutenant Colonel Thomas Whitsel. BEARCAT - Sunday is normally the day for worship services back in the World, but here in Vietnam so are Monday, Tuesday, Wednesday and the rest of the days of the week. "Sunday is not that important as a day of worship because we can't get to everyone on that day," said Major Arthur Solem of Superior, Wisconsin in explaining his job and that of the rest of the Chaplains of the 2nd Brigade. The goal of the four Chaplains (three Protestant and one Roman Catholic) is to give each man in the Fire Brigade the opportunity to attend religious services at least once a week. This is a big goal and it means that one of the Chaplains, and often more, is in the field daily. "The field is really the best place for services," said Solem. "Out there we get the best attendance and the men really listen to what we have to say." But reaching the men in the field is often difficult. Many of the Fire Brigade's Battalions work in small units, some in only platoons. This means the Chaplains must not only be messengers of God's word, but also Pathfinders as well. "If we don't catch the men while on operation, we try to get to the whole Battalion when it's being re-supplied," explained Solem. 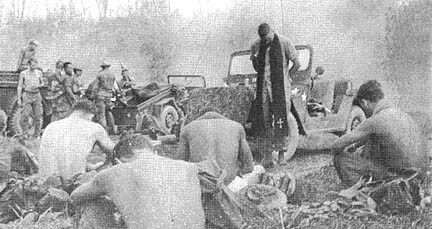 The Chaplains also like to spend a day on operation with a full company. "I think the men like to see you out there with them," said Captain Philip Blake of San Jose, California, the Brigade's Roman Catholic Chaplain. "Throughout the day the men will come up to you and ask questions or just talk." Blake is probably the busiest of the busy Chaplains as he is the only Roman Catholic Chaplain and must try to reach all of the Roman Catholic personnel in the Brigade each week. "In the first three weeks here in Bearcat base camp, I spent about twenty hours in the air trying to get to everyone," said Blake. Probably the best way to understand the effectiveness of a Fire Brigade Chaplain is to spend a day in the field with him. As the Chaplain arrives at the camp site heads turn and smiles light up. There are greetings, handshakes and, of course, the important question, "Will there be services today, Chaplain?" 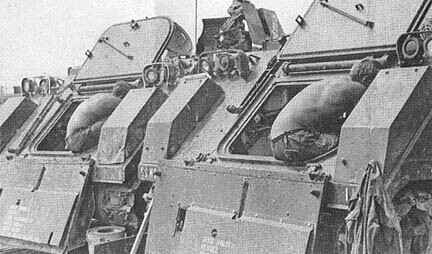 CU CHI - The mechanics of Bravo Company 2nd Battalion (Mech), 22nd Infantry use a lot of patience and plenty of skill to repair and rebuild armored personnel (APC) carriers everyday. "Lately our biggest problem is overheating of engines due to radiator leaks," said Specialist Glenn Goff, of Parkersburg, W. Va. "Other jobs include replacing worn out engines, shock absorbers, generators, wheel seals and bearings. I take pride in my job because I know my unit depends on the APC's." The mechanics can take out a worn engine and replace it usually within 45 minutes to an hour. "After you finish one job, there's always another waiting," said Sergeant Thomas Dudek, a mechanic, from Chicopee, Mass. "The hours and terrain here are demanding," Dudek continued. "This is why many problems persist. Taking this into consideration the carriers perform well," he added. At the end of a day the mechanics fill out their log books. Each track has a record of what has been done to it, how many parts have been replaced, and the mileage. A mechanic is assigned to each platoon in the company and at the end of each day, he checks with the drivers of the carriers. The driver checks the oils and water, and cleans out the air filter. The mechanic makes minor or major repairs if necessary. "Our mission is to be with our carriers 24 hours a day, whether they're at a fire support base or in the field on a night laager of recon," said motor pool Staff Sergeant Gar Brandon of Taullohoma, Tenn., a former carrier mechanic instructor, at Fort Knox, Ky.
"Each man spends 8 to 12 hours a day maintaining our tracks," he said. "I've got the best mechanics I've ever had in the past six years. Some of them I taught myself at Fort Knox. It's really great to work with them because they cooperate so well." CU CHI - A light scout team from Delta Troop, 3d Squadron, 4th Cavalry, was working a routine last light mission around the perimeter. Suddenly, Warrant Officer Gary F. Center, Bountiful, Utah, the light observation helicopter pilot, spotted the group of enemy only a few hundred meters from the base camp perimeter. He swung his aircraft around in a tight, rapid turn and headed directly for the group. The aircraft was met with a hail of automatic weapons fire. Center gave the order to open fire as soon as he was in position to avoid firing into the base camp. 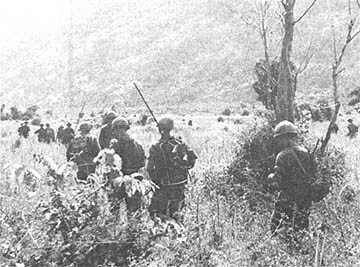 The enemy group scattered leaving pots of rice, still cooking, and supplies lying haphazardly in the area. As they fled they continued to engage the helicopter with small arms fire. Machinegun fire from the helicopter killed three of the enemy and wounded a fourth as they ran for cover in nearby tunnels. Center called on the Cobra team to fire a rocket barrage into the tunnels. Then he landed his ship and his crew gathered the equipment abandoned by the enemy. The captured equipment included two pistols, one rifle, four pounds of rice, clothing, medical supplies and assorted other supplies. By SP4 HENRY ZUKOWSKI JR.
CU CHI - Don't prepare a home cooked meal and expect Triple Deuce to stay away. During recent search operations conducted by Bravo Company, 2nd Battalion (Mech), 22nd Infantry, three miles north of Cu Chi, a large enemy feeding station was found. The NVA were just about to enjoy their noon chow when the Triple Deuce unexpectedly dropped in. "The ovens were still hot and the fish was still frying in the pans," said Specialist Four Daniel Jacobs of Niles, Mich. Although most of the enemy managed to clear out in time, the Triple Deuce did give one a fatal attack of "indigestion." The total find was one VC killed, 500 lbs. of rice, four ChiCom stoves, canteen cups, a dozen mackerel and tuna cans, fresh fish, squash, peppers, and cooking spices, pots and pans, cups, eating utensils, and five water jugs. Elsewhere in the area the men found 200 AK rounds, one AK-50 rifle, one RPG launcher, six RPG rounds, two entrenching tools, one 40 lb. Chi-Com shape charge, one Chi-Com binoculars, five NVA uniforms, and numerous medical supplies. Twenty fighting positions, 12 bunkers, and numerous tunnel complexes were destroyed. "The operation was a noteworthy achievement because we were so close to friendly forces that air strikes could not be used. Therefore, the Triple Deuce had to go in alone and flush the enemy out," said Specialist Four John Roberts of Turkey Creek, La., a rifleman. TAY NINH - Tropic Lightning Association souvenir items are now available through a traveling salesman, Spec 4 Herbert Herrman, who prefers to be known as Tropic Lightning Benny. Benny swept the Tay Ninh Base Camp in the beginning of April and will cover the entire AO within the next months. Benny was last seen in this area selling subscriptions to the Division Yearbook. Souvenir items to be sold within the next few months include letter openers, wallets and drinking mugs. 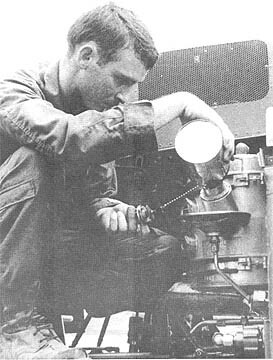 A PILOT makes a pre-flight oil check. PREPARING a bad time for Charlie, Crusaders work over their ship. ARVNS get ready to hop aboard for airlift to a new ground operation area. 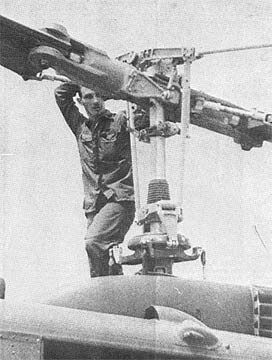 A PILOT checks the main rotor blade of a Crusader chopper before a flight. DISPATCHER at Ye Holy Land keeps track of aircraft movement. TAY NINH - Black Barons, Red Ryder, White Maggots, Lancelot, and Ye Holy Land. Something out of medieval England? 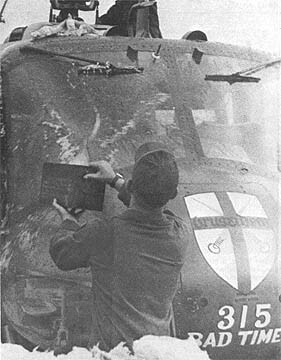 Ringing of the round table and knights of old, these titles are appropriate for the flying Crusaders, men of the 187th Assault Helicopter Company, commanded by Major John R. Gantt, Kingsport, Tenn. The Crusaders were activated September 1, 1966 at Fort Bragg, North Carolina, and came to Vietnam in March, 1967 as the "Blackhawks". They began combat air assault operations April 1, 1967. In March, 1968, the Blackhawks changed their name to Crusaders. The name goes with what the crest of the unit symbolizes: strength and honor, courage, valor, and a moral obligation to fight for the freedom of men. From the company's base, "Ye Holy Land" at Tay Ninh, pilots and crewmen maneuver their helicopters in airmobile operations throughout the fighting area of the 25th Infantry Division, providing ground commanders with close air fire support, air mobility of troops, supplies and equipment. Crusader pilots fly missions for several different units during a day's flying time which lasts eight hours or more, picking up troops at pickup zones and setting them down in landing zones. Communications between the ground, gunships, the eagle flight (a group of lift ships), ground units being picked up, and artillery observers is a constant requirement for precision in flying an aerial formation of eight aircraft or more. Frequencies (freqs) are changed often, to keep troop movements as secure as possible. When the last round of artillery hits an LZ being prepped (prepared for landing) the first ship in the flight sails down to drop off a load of troops, while the other ships in the flight land close behind. As soon as the troops are off, the aircraft lifts away from the ground and from the LZ to pick up the rest of the ground unit and bring them in. Cobra gunships from the 187th (the Rat Pack) are a hard hitting air strike force, part of the Crusader's support team. Armed with rockets, mini-guns and the rapid-fire 40MM grenade launcher, Ratpack Cobras circle the LZ's and pick-up zones (PZ's) to keep the enemy down while troops load on or off the eagle flights. Ground commanders also use Snakes (as the Cobras are called) as instant artillery when they get in a tight spot. The Ratpack pilot lines up his sights on the enemy position and lets his rockets go; then mini-guns; then 40MM grenade launchers - 300-a-minute and Charlie knows he has been shot at. For every operation there is a Command and Control ship, called C&C or Circle and Circle. The C & C ship carries the ground commander, usually a battalion commander. From his air mobile vantage point the battalion commander can direct the maneuvering of his companies over a large area of ground. Maintenance on helicopters is a job every Crusader takes seriously. When an engine fails on a ship in the air there is no shoulder of the road, there is no place to pull over and park. When a Huey hits the ground and its JP-4 fuel burns, the magnesium of its skin burns white hot at hundreds of degrees until it is only a twisted black skeleton. Aircraft crewmen, pilots and co-pilots, working with the ground mechanics, do an extensive pre-flight check of their aircraft every day before they fly. Crusaders work to support the troopers on the ground. They can bring in a lot of help in a hurry. CRUSADERS - Warriors of Charlie Company, 2d Battalion, 12th Infantry, rise to greet their transportation back to Fire Support Base Kien after a long day in the field. BEARCAT - G.I.s in the Fire Brigade who have something to say are saying it and saying it to people who will listen, thanks to the Military Affiliate Radio System (MARS). The MARS Station at the 2nd Brigade's basecamp in Bearcat is the only one of its kind in the 25th Infantry Division because it is mobile. According to Sergeant James Hahne of Virginia, Minnesota, the NCO in charge, the response to the MARS station in Bearcat has been very good. "We're handling about 15 to 20 calls a day," he said. "I especially like to see the men from the field use the station whenever they get into Bearcat." The MARS station, located in the Fire Brigade's Headquarter's Company area, is open from 0700 until 1200 hours for stateside calls. Each call, limited to three minutes, is handled much like a collect call back in the World. 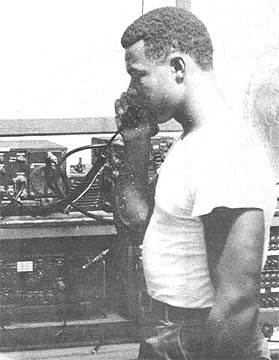 The MARS station contacts a United States military installation in the States which makes the final connection via the public telephone system. The cost of the call depends on the distance of the military installation from the home of the person being called. Hahne added that the connection usually takes anywhere from five minutes to an hour to complete. "Our connections have been very good lately," Hahne said, "but it all depends on seasonal and atmospheric conditions." The major difference between a MARS call and a regular phone call is that the MARS call is a one-way system. This means that only one person on the line can talk at a time. Therefore at the end of each response the caller must say "Over" to let the operator know when to turn on the other party's transmitter. However, Hahne says that there is usually no trouble with this procedure because both the caller and the person being called are briefed before the final connection is made. Hahne noted that most problems with the MARS system are caused by the person making the call. "In the excitement of talking to someone back in the World, a lot of guys forget what they want to say," he said. "I try to encourage people to think about what they want to say before they call, even to take a few notes. Three minutes isn't a very long time when you're talking to someone back in the World." CU CHI - An artillery reconnaissance sergeant was awarded four valor medals including a silver star and a purple heart recently in a ceremony at headquarters, 3d Battalion, 13th Artillery. The Silver Star was presented to Sergeant Steven F. Leapley of Troy, Ohio, for his actions February 1 while he was attached to Bravo Troop, 3d Squadron, 4th Cavalry. During a night reconnaissance his unit was ambushed by a large enemy force. "At 7:30 we were inserted within 200 meters of our ambush site," Leapley said. "We stayed in a hold position until darkness and prepared to move out." "One of our men thought he saw movement in the bushes which encircled our front," Leapley said. "A sergeant checked it out and said he could find nothing but thought there were some people there." At that moment the enemy element opened fire on the patrol killing one man and wounding several more. "A grenade landed beside me and the platoon leader," Leapley said. "The lieutenant threw himself on the grenade saving the majority of the men." Leapley was wounded by the explosion but took over the platoon. He dragged the dead and wounded about 40 meters into a bomb crater as the rest of the men returned enemy fire. "We set up in the crater, made radio contact with our command and asked for support," Leapley said. "We continued to lay down fields of fire and began treating the wounded." Air support arrived about ten minutes later and the seriously wounded men were evacuated. Leapley and his men searched the area before heading back to Fire Support Base Wood III. Other medals presented to Leapley were two Bronze Stars for valor and an Army Commendation Medal for valor. DEAR SGT. CERTAIN: I'm a Vietnam veteran and I'm doing research for a college term paper on "Rare Quadrupeds Indigenous to Tay Ninh Province." Do you have any information that may help me in my research'? DEAR ORNERY: It just happens that last week a platoon from the 4th Battalion, 9th Infantry Manchus came upon something that has been hailed as "The greatest discovery since Piltdown Man" by zoologists and anthropologists throughout Asia. It is the Southeast Asian Thumping Lynx. It was only the second sighting of the beast since 1896 when Sir Orville Nefter, a famed British ornithologist, spotted the lynx while walking through the jungle. Nefter was attacked by the beast and was badly thumped about the head and shoulders but managed to describe the animal to his rescuers. I quote from his book "Stranded in the Jungle." "It was about three feet long and thirty inches tall - similar to the common lynx of North America and Asia. But, unlike any other known member of the Felidae (Cat) Family, the thumping lynx has no teeth. He is a gummer. Also, the tail of the thumping lynx is about four feet long and has a hard knot about five inches in diameter at the end. This serves as the animal's chief defense mechanism as well as giving the lynx its name. It is believed by most experts that the Thumping Lynx 'Thumps' its victims to death before gumming them." Photos taken by the Manchus are currently being studied by the National Geographic Society in New York. THE MEDICS' TRACK sets behind the third platoon as the Tomahawks prepare to dismount for their mission at the base of Nui Ba Den. NUI BA DEN - The legendary Black Virgin Mountain in Tay Ninh Province has been an enemy stronghold for many years. It is honeycombed with caves which make ideal bunkers for the estimated enemy battalion within. These caves provide protection against the continuous shelling and bombing by artillery and airstrikes. The mountain houses the enemy communications network and is their assembly and reassembly point. Although the mass of granite appears io be impenetrable, the Tomahawks of the 4th Bn. (Mech) 23rd Inf. have effectively lessened the enemy's approaches and departures from the mountain. With the Tomahawks constantly screening around the base of the mountain with their armored personnel carriers, supplies are difficult to get in and men are difficult to get out. The Tomahawks also send out night ambushes from FSB Buell and ambush patrols are sent out from their night laager sites. Sergeant Mike Keyster of Peoria, Ill., a squad leader for Alfa Co., said, "I believe if we're going to catch them unaware, the secret is being at the right place at the right time." So the mighty mountain still stands, but the constant harassment by the Tomahawks has made life uneasier and much more precarious for the enemy soldier holed up within. CALLING IN - Sergeant John Mohlar (far background) of Canonsburg, Pa., a reconnaissance NCO, prepares to call in artillery as the Tomahawks take some incoming rounds from the mountain. 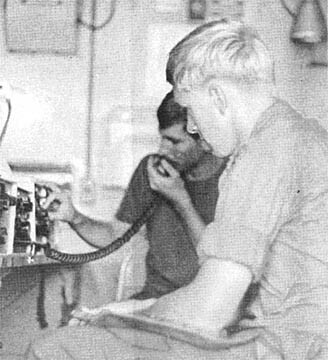 He and his radio-telephone operator, Specialist Four Ross Ciccarello (foreground) of Tampa, Fla. are attached to the Tomahawks' Charlie Company as Forward Observers. HANGING THEM IN - Private First Class Larry Creech of Middletown, Ohio "hangs" an 81mm mortar round as Specialist Four James McGee of Austin, Minn. prepares himself for the blast. The Tomahawk mortarmen were prepping an area on Nui Ba Den from their night defensive position. STEPPING SOFTLY - The headquarters element of Charlie Company, 4th Battalion (Mech), 23rd Infantry moves cautiously through an open area during a sweep at the base of the Black Virgin Mountain. TIME OUT - "Doc" Martin (Specialist Four Keith Martin of Elmira, Wyo. 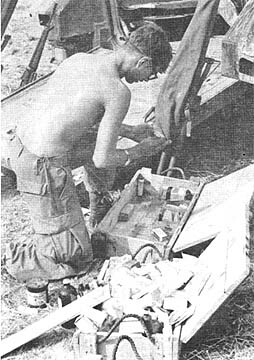 ), a medic for the Tomahawks Charlie Company, straightens out his medical supplies after a hectic day at the base of the mountain. FSB BUELL - Thirteen men from the 4th Battalion (Mech. ), 23rd Infantry, were awarded the Silver Star Medal for Heroism recently by Major General Harris W. Hollis, former 25th Division commander. The medals were awarded for three days of fighting near Nui Ba Den. Six of the awards were made at Fire Support Base Buell, home of Alfa Company Tomahawks. Presented with Silver Stars for Alfa Company were Captain M.V. Crocetti, Alfa's commander, Private First Class Phil Gay of Lancaster, S.C., a track commander, Specialist 4 John Williams of Timbo, Ark., a medic, Sergeant James Anibas of Eau Claire, Wis., the mortars forward observer, and First Lieutenant Reginald Smith of Sharon Hill, Pa., the 1st Platoon leader. Immediately following the ceremony at Buell, General Hollis flew to Charlie Company's night defensive perimeter at the base of Nui Ba Den for another awards presentation. The seven men of Charlie Company who received the Silver Stars were Captain Terry O'Hara of Mayfield Village, Ohio, Charlie Company commander, Specialist 4 Keith Martin of Elmira, Wyo., a medic, Specialist 4 Charles Morgan of Lebanon Jct., Ky., an APC driver, Sergeant Gary Berg of Litchfield, Minn., a squad leader, Specialist 4 Jose Morales of Reedly, Calif., a rifleman, Specialist 4 James Holt of Landover, Md., a medic, and Staff Sergeant Kim Fisher of Salt Lake City, Utah, a platoon sergeant. TRANG BANG - It was hot and humid with temperatures in the high nineties. Men were perspiring profusely as they worked. Dust was about six inches thick and made billowing clouds as the dump trucks and the grader thundered by. This was the scene south of Trang Bang where recent upgrade work is being done by First Platoon of Bravo Company, 65th Engineers. The upgrade work is being done on "No Name Road" and involves bringing in fill from a nearby load site, mixing the laterite with lime, spreading the soil and leveling the road. The main problem which has confronted Bravo's "Laterite Stompers" has been the settling of the soil, resulting in more time being spent regrading. 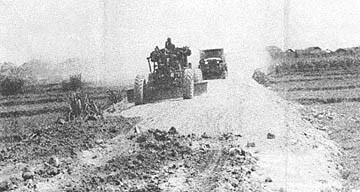 The project, led by 1LT Marvin Beck of Richmond, Virginia, and SSG Stanley Tomasky of Long Island, N.Y., is a part of an effort to upgrade all secondary roads in the Division AO and with the prospect of having to regrade some areas, the men of Bravo Company may be enduring heat and dust longer than expected. No Name Road, alias route 700 and previously used only by ox-carts and smaller vehicles, is a 4 klick stretch of road which links QL1 and TL7A south of Trang Bang. Once upgrade work has been completed No Name Road will be capable of handling normal highway traffic, except during the rainy season. DAU TIENG - One of the most frustrating tactics used by the enemy is the long-range mortar or rocket attack. The enemy mortarmen usually strike quickly and without warning. While the allies try to figure out where the rounds are coming from, Charlie is running for safety. Locating a mortar position in the middle of the night may sound like an impossible task. But, with the electronic wizardry of a Counter-Mortar Radar Unit and a little luck, it can be done. The radar transmitter sends out beams that shows an angle which indicates the path of the round. A computer uses this information to determine the origin of the round. The process locates the mortar tube in a matter of seconds. The 25th Division's CounterMortar Radar installation here is operated by personnel from the 1st Battalion, 8th Artillery, who work closely with the 7th Battalion, 11th Artillery's Fire Direction Center to coordinate artillery fire on radar sightings. The radar beams show up on the scope as horizontal lines. When the radar detects a projectile, the operator marks where it crossed the lines with a grease pencil. Then he adjusts hairlines onto the marks and the computer calculates the position of the mortar tube. The radar equipment is also used to register artillery. This is a process similar to zeroing an M-16. The artillery fires a round at a certain point, and the radar calculates coordinates of where the round landed. If there is any discrepancy, the artillery makes an adjustment until they are firing right on target. CU CHI - Kit Carson was a legendary frontier scout whose adventures were characterized by feats of valor and extreme heroism. 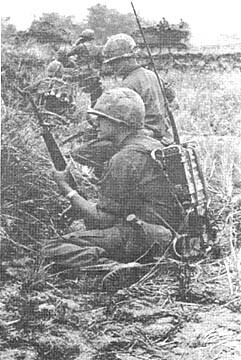 For the men of Bravo Company, 2nd Battalion (Mech), 22nd Infantry, their Kit Carson Scout is a Vietnamese copy of that original American Hero. During recent search operations by the Triple Deuce company a large bunker complex was being destroyed. The second platoon Kit Carson Scout, Nguyen Van Sinh, came upon a suspicious-looking tunnel. The scout motioned for his team members to stay back. "I looked in the hole and saw a leg quickly disappear," said Sinh. "I tried to talk the VC into giving up but it was no use." Sinh, with a flashlight and a .45 caliber pistol, slowly started down the long and deep tunnel. Soon he came face to face with the VC. Just then his .45 jammed and he retreated hastily. Sinh, undaunted, and with working .45 in hand, plunged back into the darkness. Minutes passed as Sinh's comrades waited. Suddenly they heard several muffled blasts of small arms fire, followed by dead silence. Finally after some anxious moments, Sinh greeted his friends with a grin. Sinh had accomplished his task and had killed his foe. Also captured was one loaded AK-50 rifle, one RPG launcher, four RPG rounds, one 40 lb. shape charge, ten mackeral cans, 30 lbs. of rice, one entrenching tool, a large bag of fresh fish, and two NVA uniforms. His valorous actions did not go unnoticed. Sinh was awarded the Army Commendation medal for valor, something Kit Carson would have been honored to receive.